Personal transportation has not been creating new significant technologies in over half of century. Personal communication using cell phones was revolutionized by introducing the iPhone concept design, which packaged together existing technologies in a small compact unit. 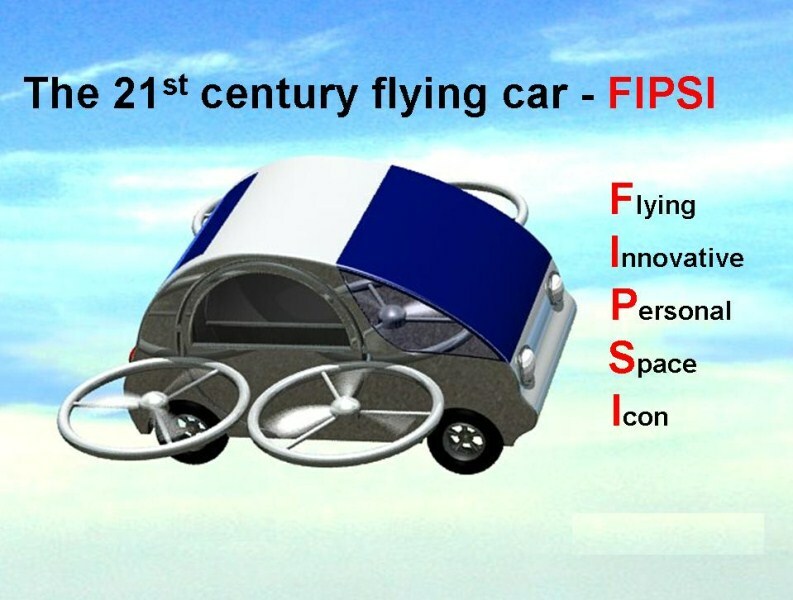 Similar to the iPhone, flying car drone FIPSI (Flying Innovative Personal Space Icon) is bringing to the market a new innovative method of packaging existing automotive, helicopter and airplane technologies in the same vehicle. FIPSI BX4 has the rotors packed in a very convenient and compact way inside the vehicle body and covered by doors, having a similar car shape look. Commuters and special operations forces spend hours in traffic getting to the people that need help. Millions of people risk to die around the world because nobody could reach them on time. We want to deliver an emergency solution that bring needed help easier and faster, everywhere and every time. Saving people's lives, people stuck in traffic accidents, people caught in remote locations caused by fire, flooding, earthquake or people located in war zones, need a new type of versatile vehicle able to go beyond the limits of the existing transportation, able to operate fast on land (roads and water) and able to be agile in the air. Flying car drone FIPSI represents a revolutionary new innovative concept of vehicle, (automotive / helicopter /airplane) being protected by patent pending design. Flying car drone FIPSI is virtually an unstoppable vehicle, capable of transitioning between ground, water and air allowing the development of tricks otherwise impossible to achieve. Flying car drone FIPSI intend to create and lead a new versatile Flying Car vehicles industry that will help achieving 6 degrees of personal freedom which will help commuting and help saving people lives. 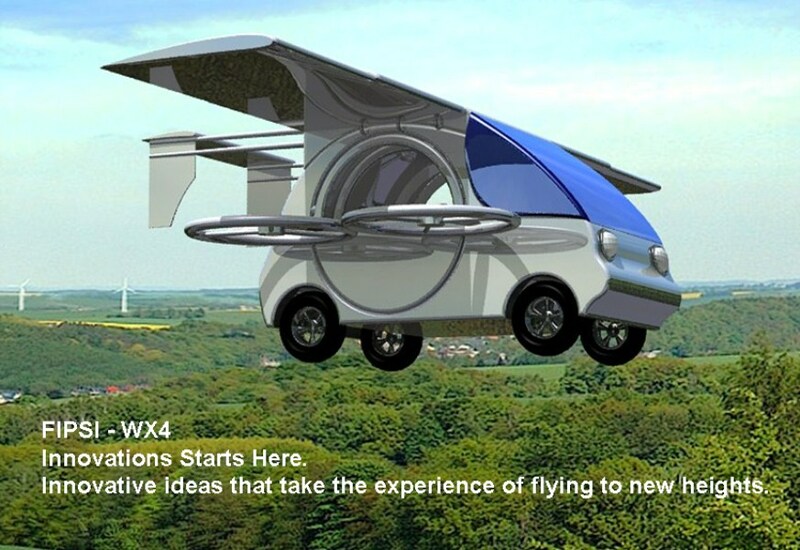 Flying car drone FIPSI vision for the future is shown on the BX4 and WX4 concepts. These versatile vehicles will try to help bringing the aviation technologies into everyone's hands. Using existing technologies flying car drone FIPSI is creating the roadmap to the unlimited people mobility. 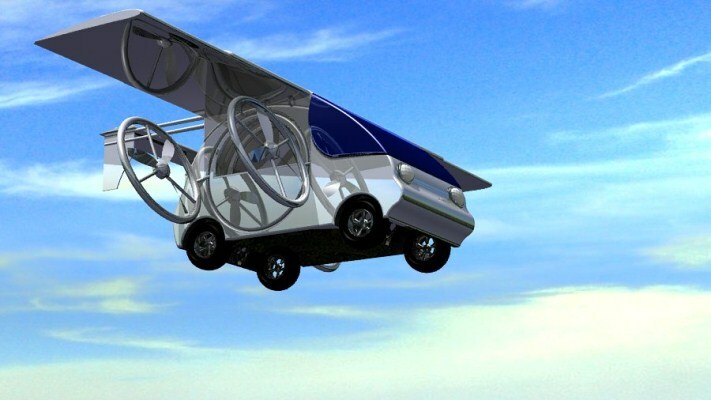 Flying car drone FIPSI is bringing the impossible transportation limits to everybody hands. Flying car drone FIPSI will save the lives of the ones that need help. We invite the interested person to be part of the transportation revolution: Get involved in making the impossible, possible. 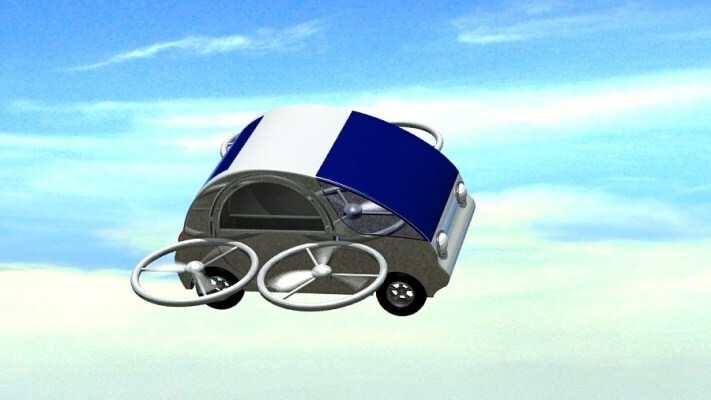 Flying car drone FIPSI represents a new compact form of packaging a vehicle having a compact car look during regular daily operations and having a drone, airplane look, during flight operations and having a drone, airplane look, during flight operations. Flying car drone FIPSI is a vehicle which can have 1 to 3 degrees of freedom during land operations and have 6 degrees of freedom during air operations. Flying car drone FIPSI can achieve outstanding performance in difficult terrain. On land, water or in the air flying car drone FIPSI can reach high speeds. Flying car drone FIPSI is capable of driving across land, riding on the roads or water, and when the obstacles become big or when necessary to avoid certain congested or unsecure ground areas, simply take-off and fly over them. Flying car drone FIPSI can be flown in remote access areas or used in different search and rescue missions. 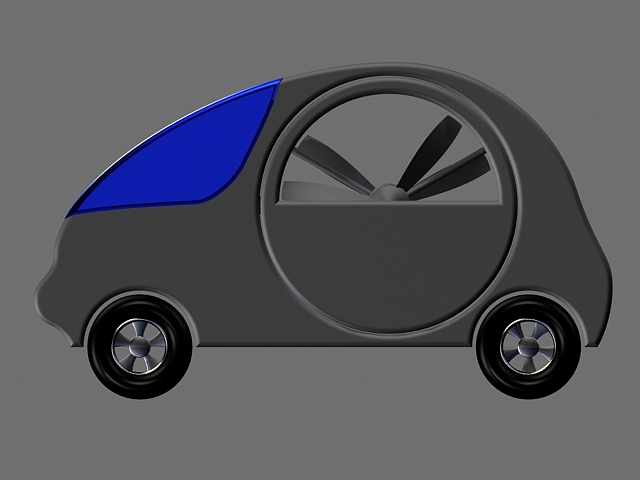 Flying car drone FIPSI can be parked as a regular car in any parking lot or garage. 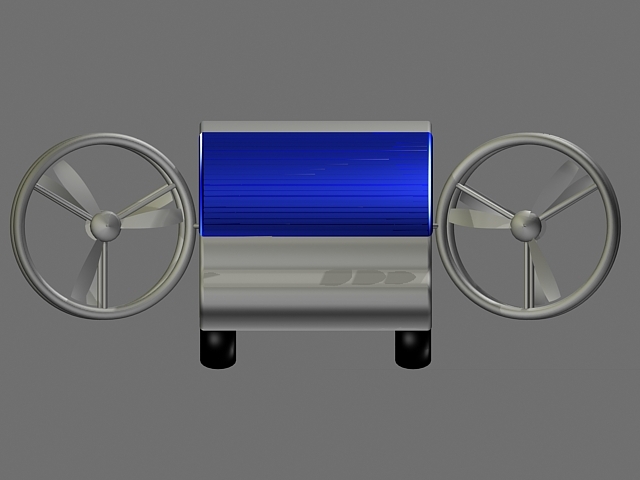 The general shape of the described flying car drone FIPSI during ground or water operations has a similar car look. Flying car drone FIPSI achieves vertical take-off and landing and is able to transition on the move between driving, flying and driving back again. Flying car drone FIPSI achieves an experience which has not been possible with any previous vehicle packaging. 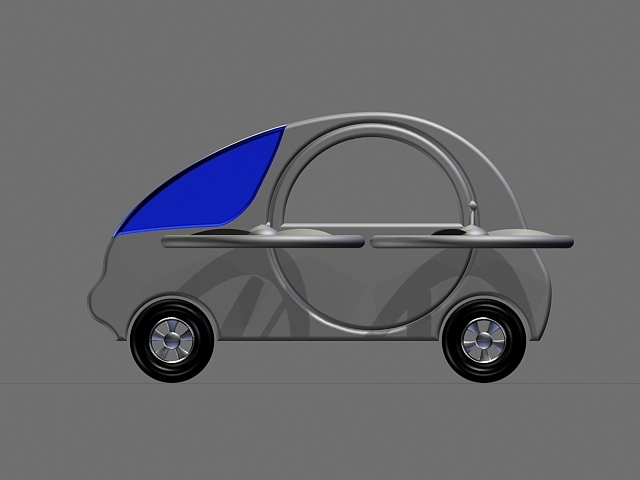 Flying car drone FIPSI presents a durable vehicle construction configuration. Based in Shelton, Connecticut, flying car drone FIPSI is developed by one of ASE co-founder, dedicated to bring high-tech, innovative solutions for flying a car or drone. Our skills include Automotive, Aerospace (Aerodynamics, Structure, Engine, Control Systems) and Intellectual Property Development. Flying car drone FIPSI is bringing to market a new innovative method of packing existing technologies. © 2013, All Rights Reserved Advanced System Engineering.